Front Door Fabrics and Interiors – Designer “Short” Markdowns! 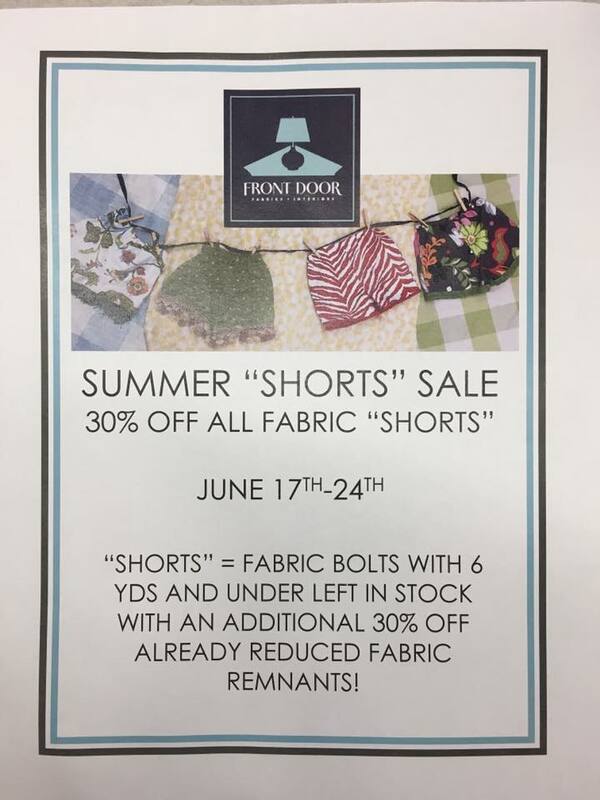 We are spending the day making markdowns and tagging some truly gorgeous designer “shorts”- our sale starts tomorrow and all in stock bolts with under 6 yds left in stock and all remnants (which are already regularly 30% off anyways) will be an additional 30% off through next Saturday! Hurry in and claim your pick of the bunch- there are a lot of green tags hanging around already that would be perfect for that small Summer project like recovering dining chair seats, making some accent pillows, a set of panels, or reupholstering a small accent chair! Labor Day and 10th Anniversary Sale! 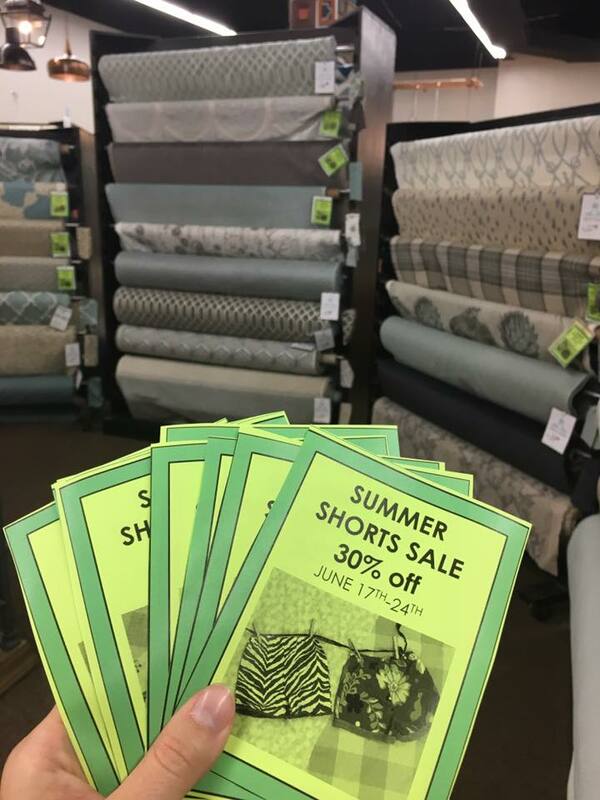 10:00 a.m. – 6 p.m.
Summer Shorts SALE this week!